My roommate has this lovely, battered, honey-colored upright piano. Her ex husband literally bought it from the thrift store on a whim for his very musical kids. They carried it up the stairs themselves – losing perhaps a few bits of wood in the process (those weren’t important, right?). The people who played the piano don’t live there anymore (though they visit from time to time) and it was mostly serving as a cute, decorative accessory for the living room -slash- place to put the odd tchotchke. One day last August, out of nowhere, the thought struck me that I really wanted to play that piano. I was thinking, like, fool around, play some keys in an unschooled but emotionally satisfying way, for, you know, half an hour or so. I don’t know where it came from. I hadn’t been considering it previously. Indeed, I felt like my life was already over-busy with work et cetera. But I couldn’t shake it. I needed, with all my heart, to learn to play the piano. I knew something about the music-lessons path, though I’d never felt like that was a path that was open to me at any previous point in my life. I knew it was a discipline, and I knew that one doesn’t get very far by half-assing it. 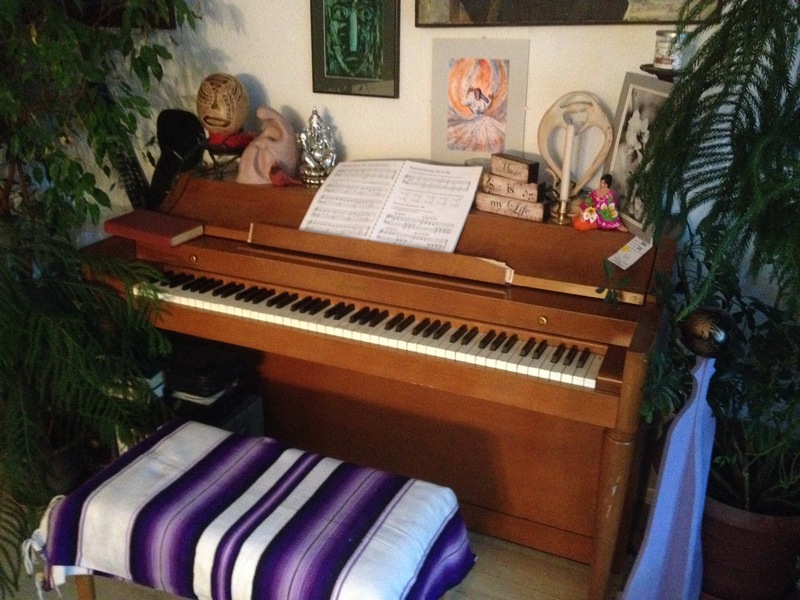 I gave myself a few days to ponder whether I was ready to commit to piano as a daily practice before taking any action towards finding a teacher. In the meantime I started working with an adult method book that was lying around. I soon knew: It wasn’t just going to be a daily practice. It was going to be a relationship. Full of passion and angst, joy and drama, and life lessons in abundance. A real relationship – like where you are pretty sure on Date #2 that you could do this forever. But the sudden-onset piano virus I contracted also seems to be chronic; it doesn’t let up. However much time I spend practicing, I want to be doing it more. I could easily lose days this way. Even though the doubts are at time cacophonous, the keyboard is magnetic and it draws my hands back and back and back again. And I get to practice ignoring the voice of doubt. Maybe this is the true daily practice. Like returning the wandering attention to the breath. It doesn’t matter where it flies off to – just keep bringing it back. Come back to the senses. The cool, smooth keys under my fingertips. The breath. And here I am, nine months later, at the end of first grade. This month I had my first two public performances. One song each. First, I filled in for our regular accompanist at a choir concert. 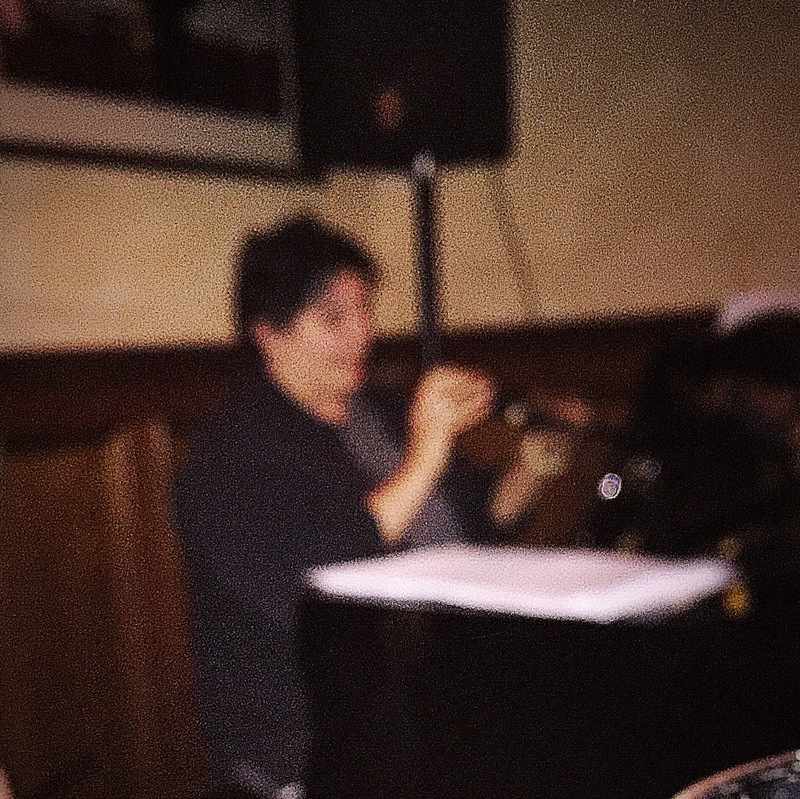 Then I played this song that I wrote in a low-key show that my piano teacher organized. Neither performance was perfect. I finished each one with my mind full of all the things I wished I had been able to do better. But I also finished each one feeling badass. I had been imperfect, in public, no hiding, my mistakes hanging out – and had kept going – boldly and with as much heart as I could muster. And I think that on each occasion, I benefited from that rule that says, when you play or sing with sincerity, the angels can come in and smooth out some of the rough edges from the sound you make between the moment it leaves your body and the moment it reaches someone’s ears. Because at least one person was touched. And I think that’s the point. Though I can’t prove it to myself logically, I am pretty sure that is the point. This entry was posted in Music, Spiritual path and tagged mindfulness, music lessons, personal growth, piano, soul lessons. Bookmark the permalink. Holy cow. Now you made ME cry. Well done.